Ever feel like you don’t have enough time in the day? Or maybe like time is just slipping away from you? Well, maybe it is! After all, less than two weeks ago we had Leap Day–that magical “extra” day that comes but once every four years. And today people are going on and on about lost hours of sleep due to “springing ahead” for Daylight Saving Time. It’s kind of crazy when you think about how daylight really only has to due with the Earth’s rotation, but man and civilization can mess with time as much as they want. Of course, we can never really mess with it in the most fantastically imaginative way so many authors have dreamed of: time travel. I love the concept of time travel and have pretty much never met a time travel book I haven’t liked. So, in the spirit of this Leap Year and Daylight Savings, I present to you a few titles that explore time. 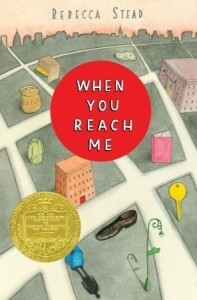 When You Reach Me by Rebecca Stead: This winner of the 2010 Newbery Medal is a wonderfully constructed novel. Sal and Miranda were friends; now they’re not. Then Miranda finds little notes that seem to come out of nowhere, but whoever is writing them knows and awful lot about her and things that haven’t yet happened. It all comes together in a beautiful story that relies on time to bring together all the pieces. 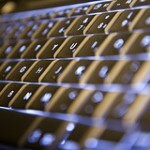 The Future of Us by Jay Asher and Carolyn Mackler: Two teens turn on a computer and find their Facebook profiles. The thing is, it’s 1996, Facebook hasn’t been invented yet, and they are seeing their future selves. They also discover that little changes in their actions today affect the status updates and profiles of their adult selves. Asher (2008 Best Books for Young Adults honoree) and Mackler (a 2004 Printz honoree) tell the story in alternating chapters. 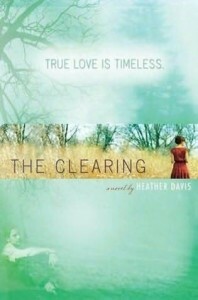 The Clearing by Heather Davis: I confess to a soft spot for this particular type of time travel story: the romance where two people fall in love from different times. In this case a girl in the present day walks through a clearing and finds herself meeting a boy from 1944. Because she is going through a difficult time, she appreciates the simplicity of his time–until she discovers exactly why he is stuck in time. And let’s not forget the whole category of stories where you repeat a day over and over (like Groundhog Day.) That’s called a time loop, and we had a great post on it last year. 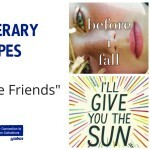 Before I Fall by Lauren Oliver, a 2011 Teens Top Ten title, fits this category. Samantha knows she dies in a car crash, yet she still keeps waking up the next morning and reliving the day. Can she do anything to change the outcome of the day? The Midnighters Trilogy by Scott Westerfeld (Secret Hour, Touching Darkness, and Blue Noon) plays with the idea of time literally standing still. At midnight in a certain town, time freezes. That hour is able to be enjoyed and walked only by supernatural beings. At that hour their power is even stronger than ever. When Jessica moves to town she discovers this hour herself and becomes embroiled in a battle between the forces. We may not be able to truly stop time or time travel, but every reader knows the closest thing to it is getting lost in a book. 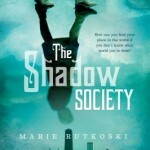 So why not try one of these time twisting novels today? One of my personal favorites is The Power of Un by Nancy Etchemandy. Not new…but really good. Great list! One of my all time favorite time travel books is Jane Yolen’s Devil’s Arithmetic. Not very cheery, but SO good. 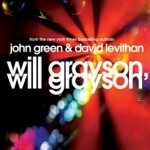 I loved both When You Reach Me and Before I Fall…excellent books! Have you read Hourglass by Myra McEntire? It’s another great time travel adventure/romance. Along the lines of The Future of Us, I’d recommend Gimme a Call by Sarah Mlynowski about a senior who drops her phone in the mall fountain only to find she can call her freshman self and make changes to her life.